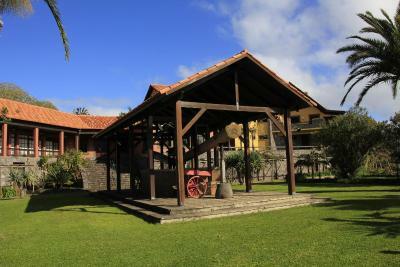 Lock in a great price for Hotel Quinta Do Furao – rated 9.3 by recent guests! Really special place where you can connect with nature and unwind. The view & very peaceful. The breakfast & staff were outstanding. Nice restaurant for dinner too. 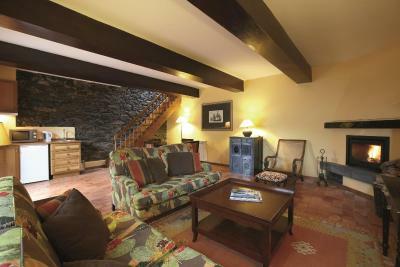 Modern lodge located in old quinta grounds overlooking ocean. Large, clean, comfortable rooms, many with balconies. 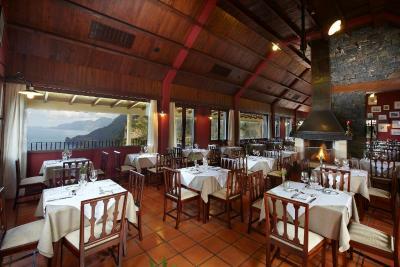 Excellent restaurant, friendly staff, spa and pool facilities, though we didn't use them. 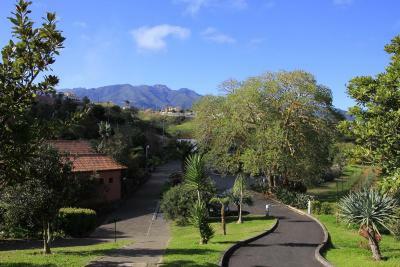 Well located to visit villages and walk mountain and coastal trails. Really enjoyable place. Away from itball. Very different from the southside. Good friendly helpful staff. Wonderful situation and environment. Very helpful and friendly staff. Excellent breakfast and restaurant. Everything about the hotel was better than we expected. The location and peace and quiet were exemplary. The staff were friendly and helpful and we could not criticise anything at all. Really friendly and helpful staff, lovely breakfast, great restaurant with fabulous coastal views, free cocktails and nibbles on our first night, staff happy to arrange packed lunches and look up weather forecasts and walks etc. Great location for walks. Would thoroughly recommend. Excellent restaurant was very good value. Beautiful room. Great breakfast. Helpful and friendly staff. 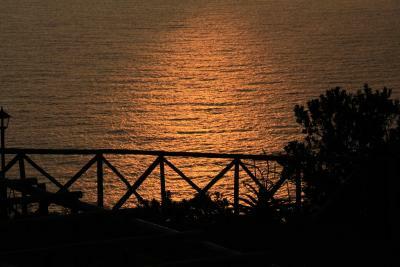 The location, the great seaview, excellent and diverse breakfest, very cosy lobby and the very calm atmosphere. Hotel Quinta Do Furao This rating is a reflection of how the property compares to the industry standard when it comes to price, facilities and services available. It's based on a self-evaluation by the property. Use this rating to help choose your stay! One of our top picks in Santana.Featuring stunning views of the north-east coast of the Island of Madeira and the surrounding mountains, this 4-star hotel offers rooms with free Wi-Fi and a balcony. Facilities include an outdoor pool. 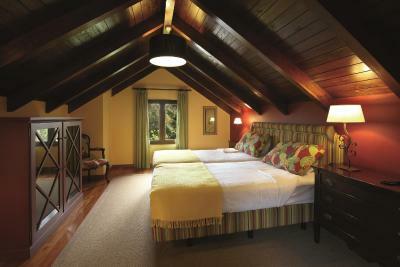 The rooms at Hotel Quinta Do Furão are decorated with natural colors and elegant wooden furniture. All rooms have a flat-screen TV, a mini-bar, and tea and coffee making facilities. 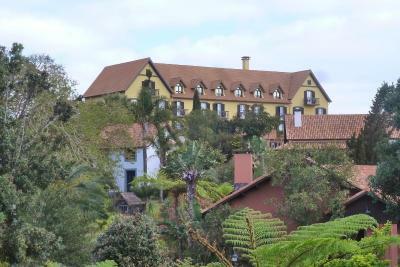 Quinta Do Furão Hotel’s restaurant serves a selection of characteristic Madeiran dishes and international gourmet cuisine. 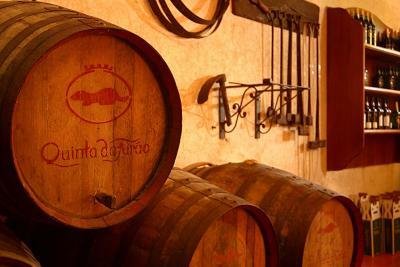 Guests can taste and purchase 4 different types of Madeiran wine at the hotel’s wine cellar. The hotel offers various wellness facilities, such as a sauna, a fitness room, and a massage room. 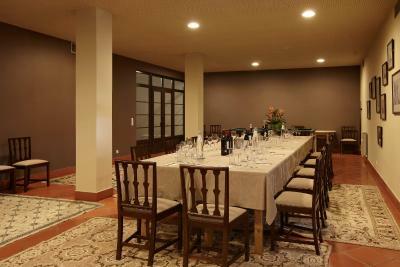 Guests can also benefit from Quinta Do Furão’s games room, reading room, and 24-hour reception. 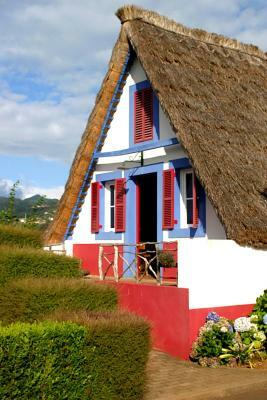 Santana, a small and picturesque city known for its thatched houses, is just 1.2 mi from Hotel Quinta Do Furão. Free private parking is available on site. 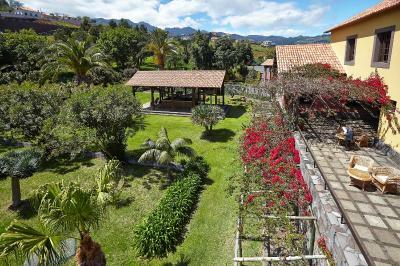 This property also has one of the top-rated locations in Santana! Guests are happier about it compared to other properties in the area. 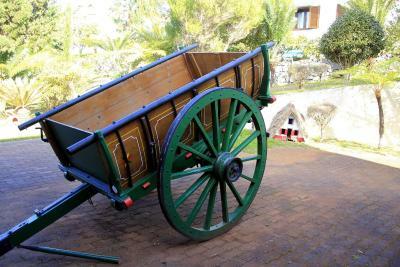 When would you like to stay at Hotel Quinta Do Furao? This spacious room comes with a balcony offering sea and garden views. It has a flat-screen cable TV and mini-bar. The bathroom includes toiletries and a hairdryer. 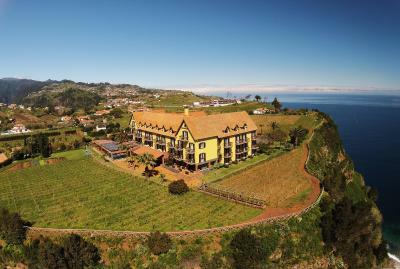 This large suite comes with mountain, sea and garden views. It also comes with an open plan seating area and a bedroom. It has a seating area with flat-screen cable TV and mini-bar. The bathroom includes toiletries and a hairdryer. 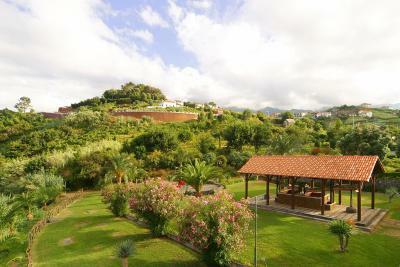 This villa offers mountain and garden views. 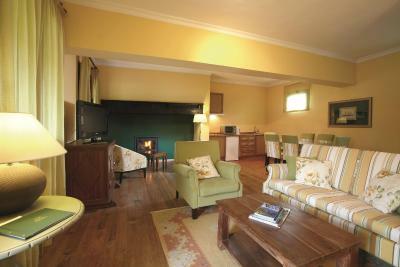 It includes a lounge room with a fireplace and a cable TV. This room has a flat-screen cable TV and mini-bar. The bathroom includes a hairdryer. 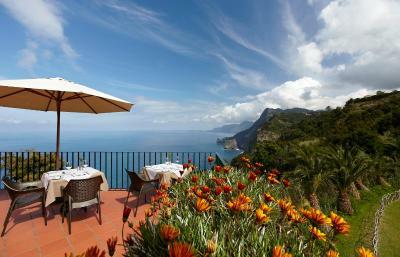 Some rooms overlook the mountain, sea or garden. This twin room features a private bathroom with hairdryer, heating, safe, tea and coffee making facilities, mini-bar, telephone, WiFi and cable TV. 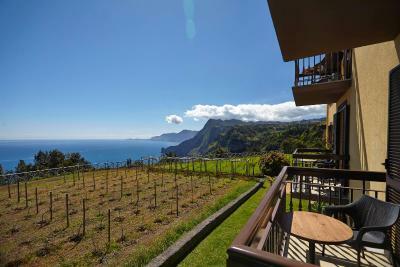 The room offers vineyards and parking view. 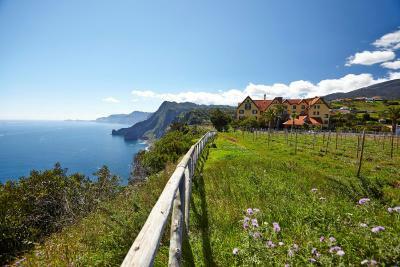 House Rules Hotel Quinta Do Furao takes special requests – add in the next step! 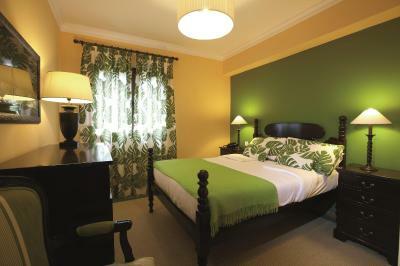 One older child or adult is charged 75 % of the room stay per night in an extra bed. Hotel Quinta Do Furao accepts these cards and reserves the right to temporarily hold an amount prior to arrival. No clear rules on smoking on the balcony. We had to inhale the smoke from our neighbors for one and a half days before the hotel responded to our complaints. Fantastic localization and view from the balcony. Very good breakfest. A true king sized bed would be appreciated. Cold pool and hard to find the sauna and dressingrooms. Cost, friendly, excellent breakfast, excellent restaurant. Room with a balcony. One of my favorite hotels of anywhere I have stayed. 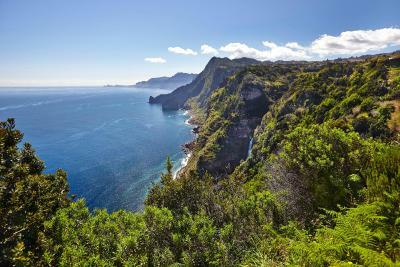 Just a beautiful unique setting on the beautiful island of Madeira. it is quite isolated so not for people looking to be in the center of the action. 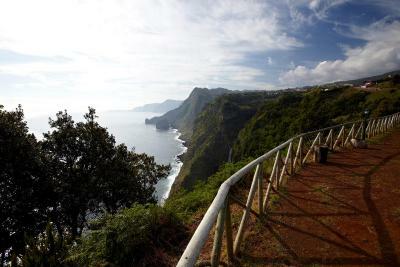 About 30-45 minutes driving from Funchal. It is perfect for those looking to get away from the world in a very beautiful and serene setting. Excellent staff! The stay was amazing! The view, the service, the room and the food. The previous day I noticed there was a problem with the day of my reservation (my fault) and they promptly solved it (as well as Booking did). We had dinner at their restaurant, and it was amazingly delicious. The breakfast has local products and a great variety of options The pool and the jacuzzi was the best thing after a long they of walking. I strongly recommend travellers willing to visit the North of the island to stay there. If I have the opportunity I will go back. The lack of a decent pool or exercise room & some equipment malfunctioned. There should also be an outdoor pool. And the safe was too hard to use, it was too low & dark & odd in its operation plus need additional place to put another suitcase that is easy to access. The price could have been a lot less. Breakfast was average but unexciting. The surroundings of the hotel and its situation very attractive, but I felt that it was expensive for what we got.